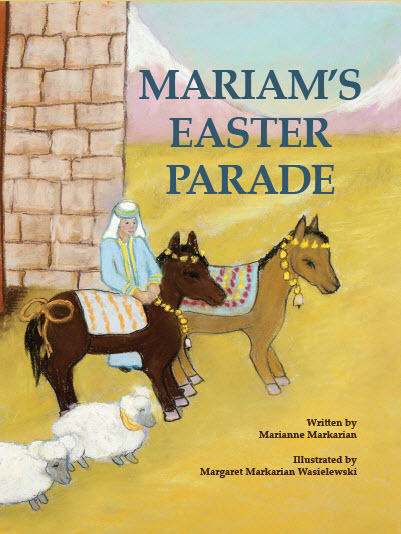 Written by Marianne Markarian and illustrated by Margaret Markarian Wasielewski, Mariam’s Easter Parade is a children’s picture book story of young girl who might be too small to help with the Easter preparations, but she is clever enough to celebrate with her own special parade! Easter is a major holiday for the Armenia people. Not only do they celebrate their Christian religion, but they also mark the occasion with food, festivities, and egg-fighting contests. Using her grandmother’s life in “the old country” as inspiration Markarian has crafted a story that displays with cultural accuracy how Armenians in the Ottoman Empire celebrated Easter. The hardcover, jacketed book lists for $16.00 and includes vivid pastel illustrations which portray the beautiful countryside and colorful dress of the Armenian people in the early 1900s. It will be available after Feb. 23 at Amazon.com, Abril Books, LittleArmenia.com, Sardarabad Books, Vroman’s. Others will be added in the next couple of weeks, so check back. To schedule readings, school presentations, art exhibits, or book signings, contact Pomegranate Publishing at (805) 684-9570 or mailto:pomegranatepub@cox.net.